With Republican gubernatorial candidate John Cox polling neck-and-neck with Antonio Villaraigosa for second place in the race for governor, the prospect of a Republican being on the ballot in November appears to be increasing – a development that could be instrumental in boosting GOP turnout in down-ballot congressional races in the state. For example, Republicans are facing formidable election fights in places like the 39th and 49th Districts, where long-time representatives Ed Royce and Darrell Issa are retiring, opening up an opportunity for Democrats to try and flip key districts in the already largely blue state. Because the jungle primary is relatively new, and historically, there’s always been a Republican on the ballot for governor, there isn’t any available data on how much down ballot races will be affected by the governor slate. However, indications suggest that if the San Diego businessman can make it to the general election it will boost Republican turnout in those key races. 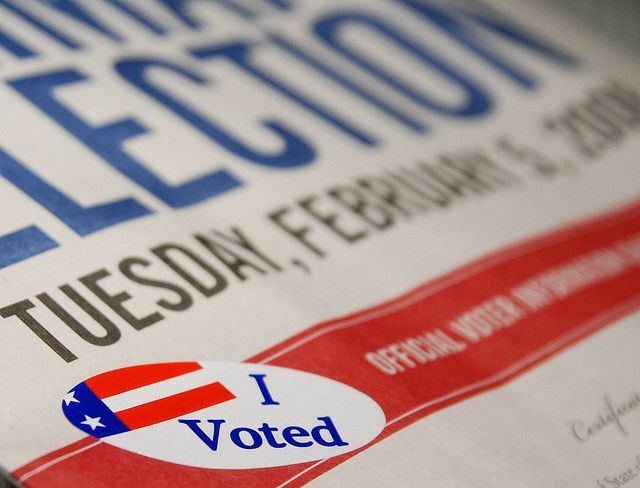 “You can draw the conclusion that it’s more than less likely,” Chairman of the California GOP Jim Brulte told CalWatchdog about the connection between having a Republican on the ballot and party turnout. Under California’s jungle primary system, the top two candidates, regardless of party, advance to the general election. According to a new Action News Poll conducted by SurveyUSA, Gavin Newsom (D) still leads at 21 percent, followed by Villaraigosa (D) at 18 percent, and Cox (R) at 15 percent. But according to a new poll from UC-Berkeley’s Institute of Governmental Studies, Cox is in second with 18 percent, Assemblymen Travis Allen, R-Huntington Beach, in third at 16 percent, and the former L.A. mayor has dropped all the way to fourth at 9 percent. Cox is also likely eyeing a boost from the party at the state convention in early May in San Diego. For the first time, Brulte explained, delegates from the state party will vote to endorse either John Cox, Assemblyman Travis Allen, or for no endorsement. For an endorsement to pass, it must meet a 60 percent threshold. Republicans will have a heightened sense to urgency to boost turnout in 2018, as Democrats are targeting several high-profile races with the hopes of completing a nationwide blue wave to take back the lower chamber. Royce has endorsed former state legislator Young Kim for the seat. With longtime incumbents out, Democrats feel emboldened to pick up seats in increasingly purple districts, solidifying their control of the state – even in traditionally red areas like Orange County. “California Republicans clearly see the writing on the wall and realize that their party and its priorities are toxic to their re-election chances in 2018,” Drew Godinich, a spokesperson for the Democratic Congressional Campaign Committee said in a statement earlier this year. But Brutle also noted that “irrespective of candidates statewide there’s a number of issues and initiatives” that are expected to contribute positively to GOP turnout. Furthermore, the backlash against sanctuary cities has gained national attention in recent weeks, with a wave of municipalities in Southern California fighting back against Sacramento. Most notably, in March, Los Alamitos approved an ordinance to opt out of California’s controversial Senate Bill 54, with the City Council arguing that the California law is unconstitutional because it subverts federal law.